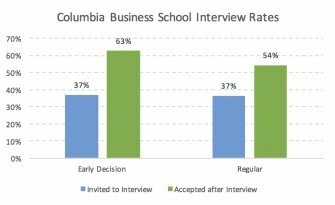 Over half of Columbia Business School students take advantage of federal and private loan programs to help finance their MBAs. Students should wait to apply for loans until after they have been admitted, as upon admission applicants will gain access to a site with loan application timing information and process. Please read below about each type of loan available to our students. US citizens and permanent residents may apply for fixed-rate Federal Direct Loans by completing a FAFSA. Federal Direct Loans carry a 5.31% fixed interest rate for loans disbursed July 1, 2016 to June 30, 2017 with an origination fee of 1.068% (increasing to 1.069% for loans disbursing on or after October 1, 2016). Federal Direct Loans are not need-based and do not require a credit check. Students can receive a maximum of $20, 500 per academic year, which is $10, 250 per semester. US citizens and permanent residents may apply for a Graduate PLUS Loan by completing a FAFSA and a PLUS Credit Authorization form. The credit authorization form initiates a check of the student's credit for adverse history. The credit criteria for the Graduate PLUS Loan are generally less stringent than for a private loan. Graduate PLUS Loans carry a 6.31% fixed interest rate for loans disbursed July 1, 2016 to June 30, 2017 with an origination fee of 4.272% (increasing to 4.276% for loans disbursing on or after October 1, 2016). Students can borrow up to the cost of attendance, less the amount of other financial aid received. Students must borrow a full Unsubsidized Loan first. Our office does not endorse or promote any particular lender, however, the university has created a Suggested Lender List for students seeking to borrow a private loan. Private loans are credit-based loans and often have a variable rate, although fixed-rate loans are sometimes offered. At the beginning of the application process, applicants should pull a copy of their credit report in advance to check for discrepancies, as the credit report and score are the largest components in determining eligibility and interest rate tier. Students can borrow up to the cost of attendance, less the amount of other financial aid received. Cosigner Option: International students may choose to borrow a fixed or variable interest rate private educational loan with a creditworthy US cosigner. Each year, Columbia University publishes a Suggested Lender List which provides a comparison chart of private lenders offering education loans to international students with a creditworthy US cosigner. Your US cosigner must be a citizen or permanent resident. Keep in mind that for some lenders, a student must have a social security number in addition to having a cosigner. For application instructions, please visit each lender's website. Processing time for loans is 4 to 6 weeks assuming all documentation is in order. No-cosigner Option: A no-cosigner loan option is available through Prodigy Finance for international students who are not already highly leveraged. To apply, please visit their website. Students may request funds for up to their cost of attendance less other aid. Many international students also rely on family funds, personal savings, government or company sponsorships, and/or loans secured in their home countries. International students should review our additional resources page, separated by country, for additional external assistance.